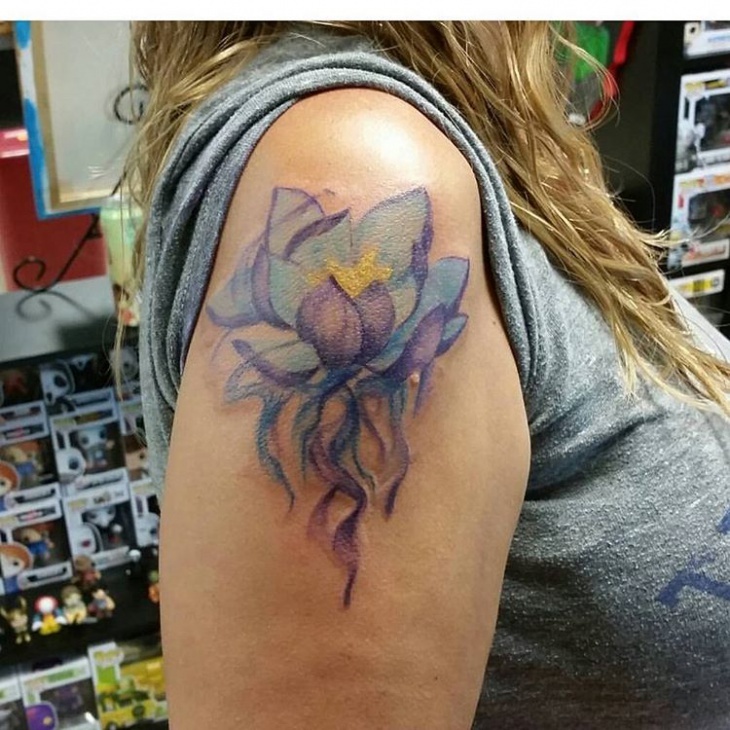 Watercolors Tattoo designs imitate the painting technique where an artist uses free flow to create a stunning body art using water colors. 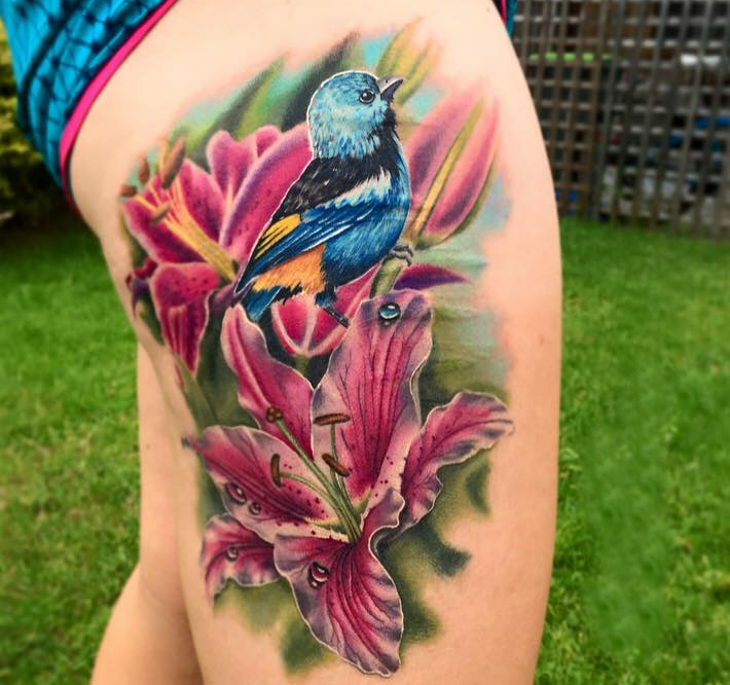 They enhance physical beauty and draw attention towards the body part where the tattoo is placed making the pain and cost worth it. 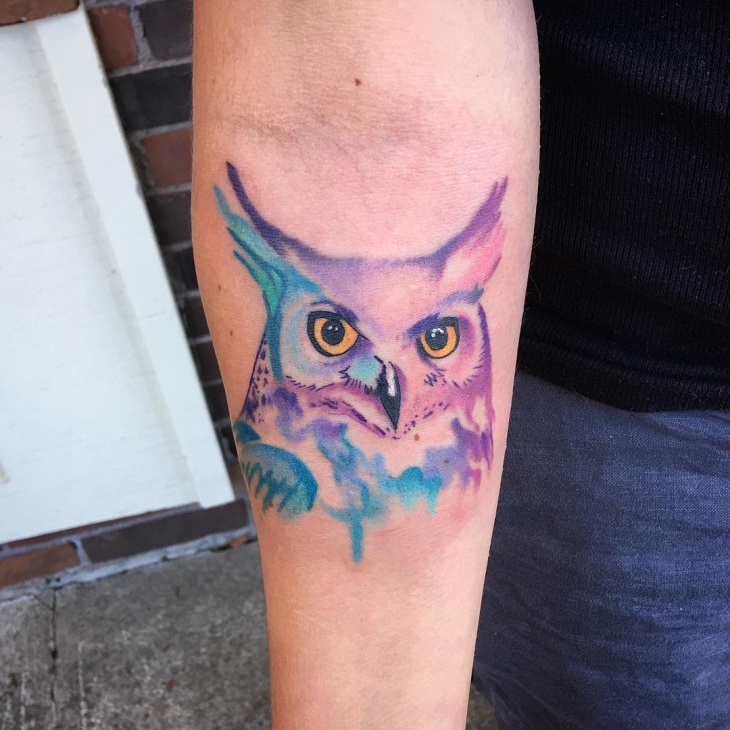 These tattoos speak for themselves because they give an edge to the traditional tattoos causing the end results to look like a watercolor painting which is marked by vibrant colors and subtle shades. 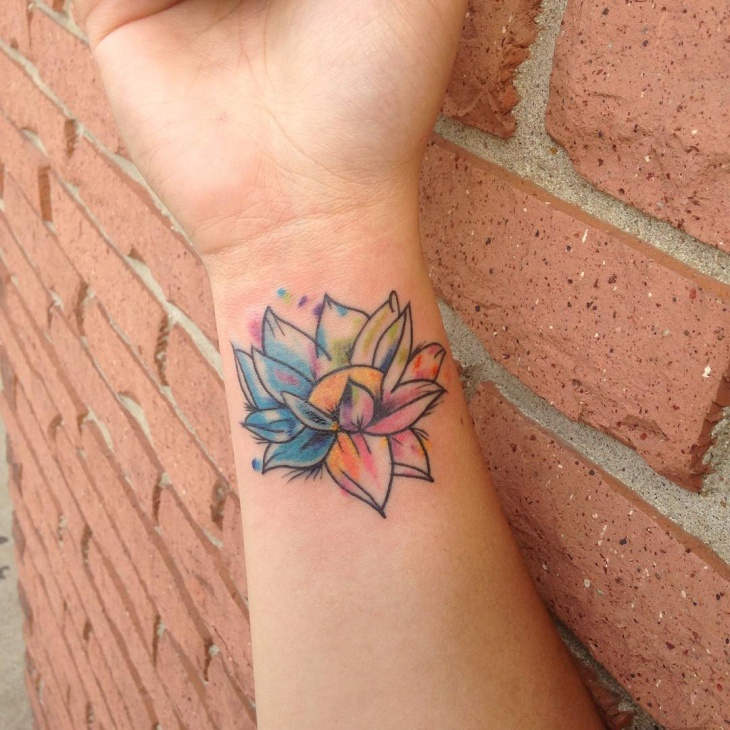 If you need to portray beauty, then go for watercolor flower tattoos. They create a bleeding design with their edges lines so what you end up with is a beautiful tattoo that makes a statement. You can opt for a rose and poppy to decorate the curves of your legs. 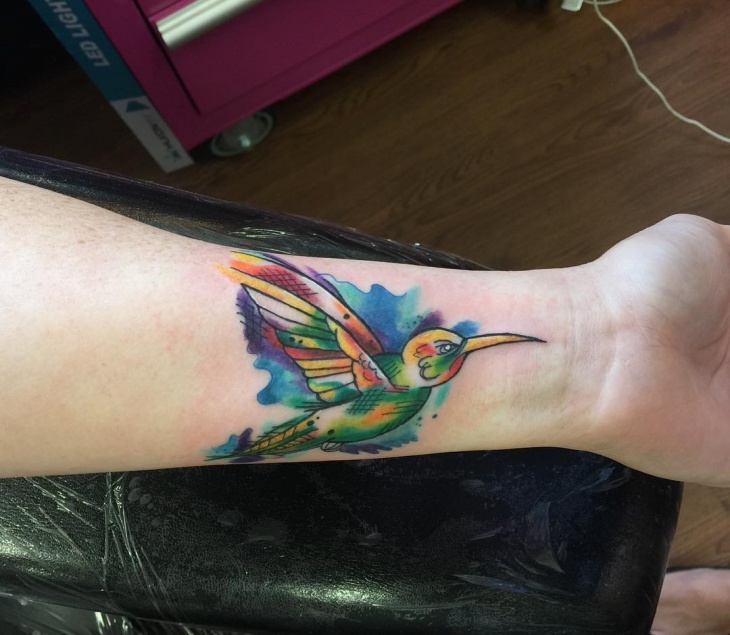 The best way to depict joy and happiness through body art is to get a watercolor hummingbird tattoo. 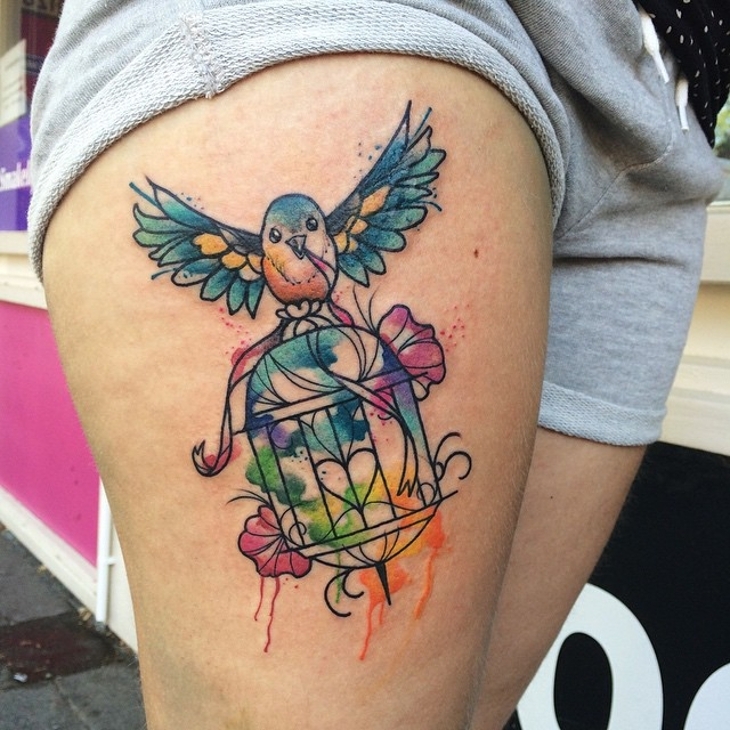 The watercolor gives a realistic effect of this bird giving your tattoo the authentic image. Opt to incorporate purple, orange, green, red, gray, blue and black to make the bird look real. 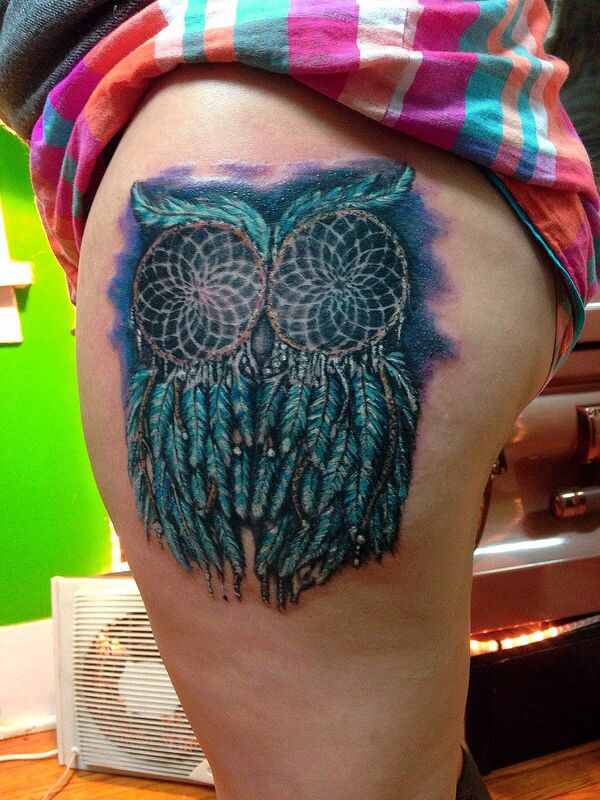 While feathers tattoo designs are popular, you can give this body art an edge by getting it in a watercolor form. 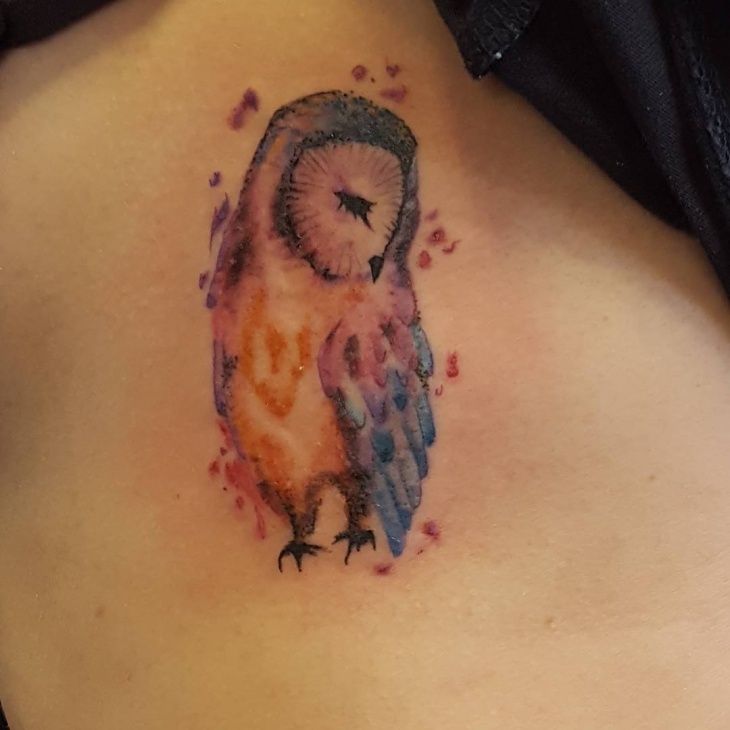 The shading technique will give your feather a lighter yet stunning effect which provides an impression of an old tattoo. 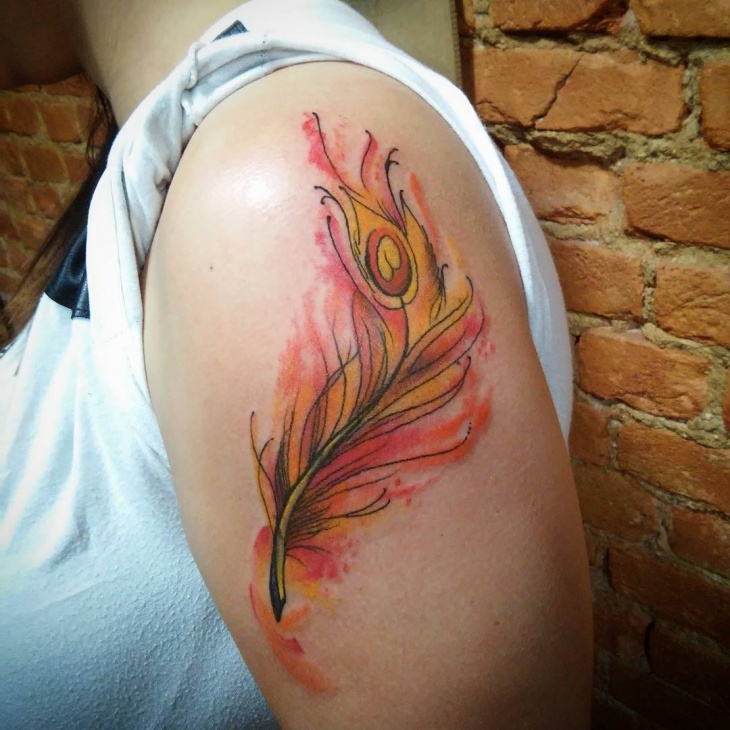 Place your feather watercolor tattoo on the arm to make it easy to see. 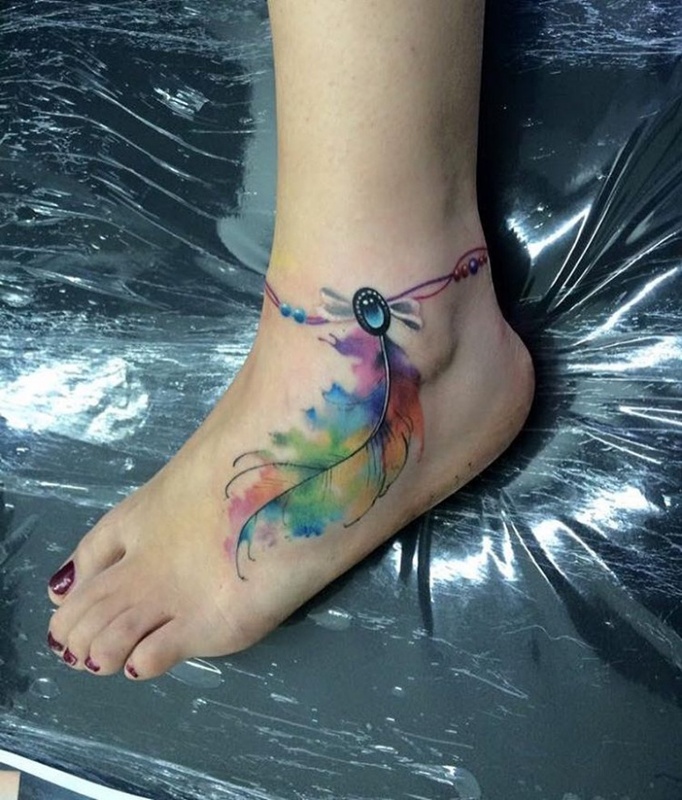 Small watercolor tattoos can be put on a finger, ankle, behind the ear or on the backside of your neck. 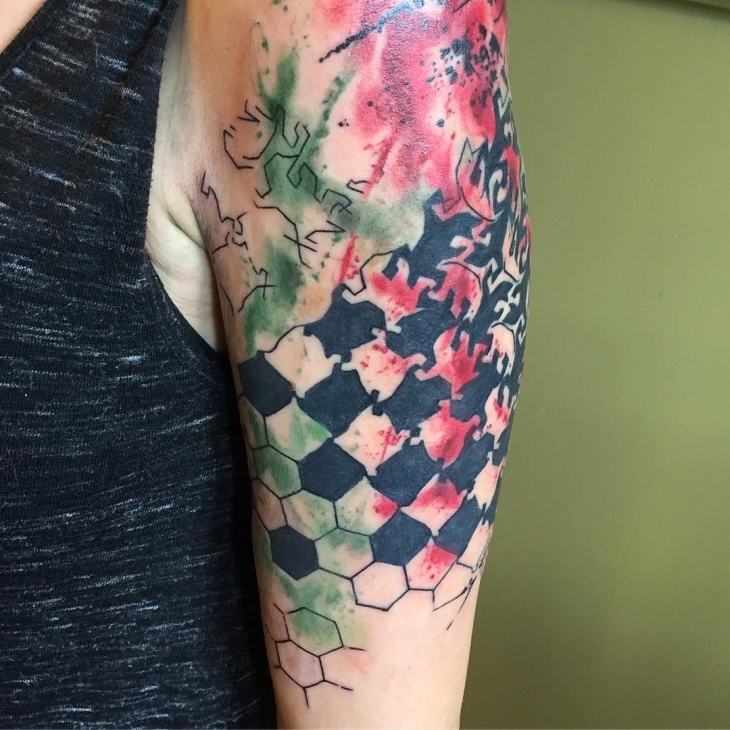 If you need your watercolor tattoo to be bold, then go for those that use mainly black ink and apply subtle colors on the edges of your design. Whether you are a sailor, traveler or you just love having parties on the boat, watercolor compass tattoos are perfect for you. 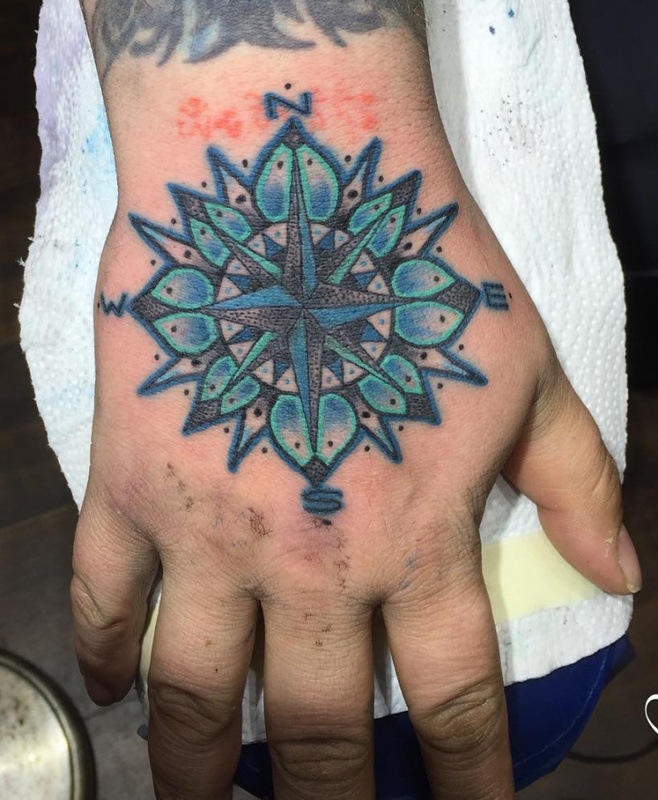 You can choose a nautical compass design with a rose or star as well as dream catcher which will look stunning due to the splashes and blotches of color. 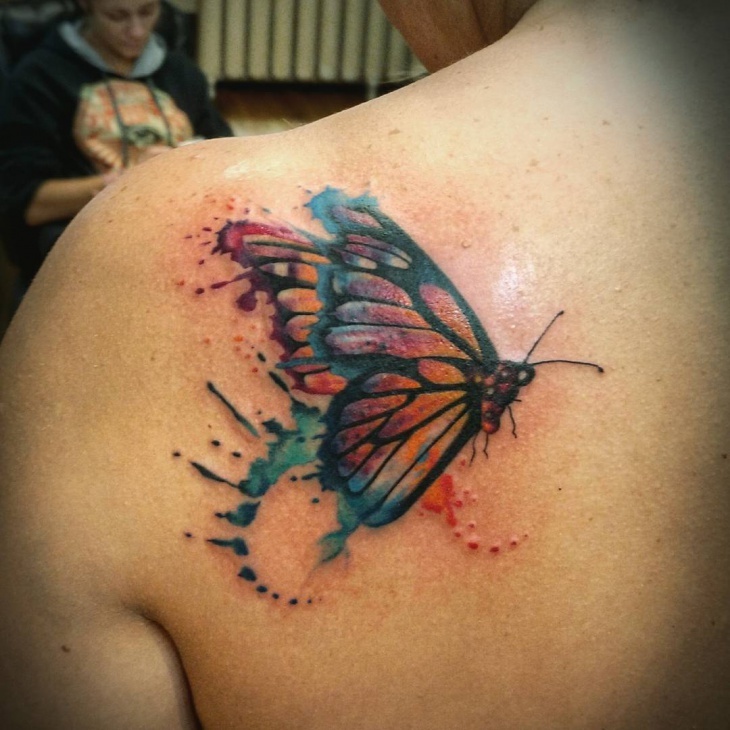 Insects naturally have vibrant colors which give them an alluring quality for watercolor tattoos. 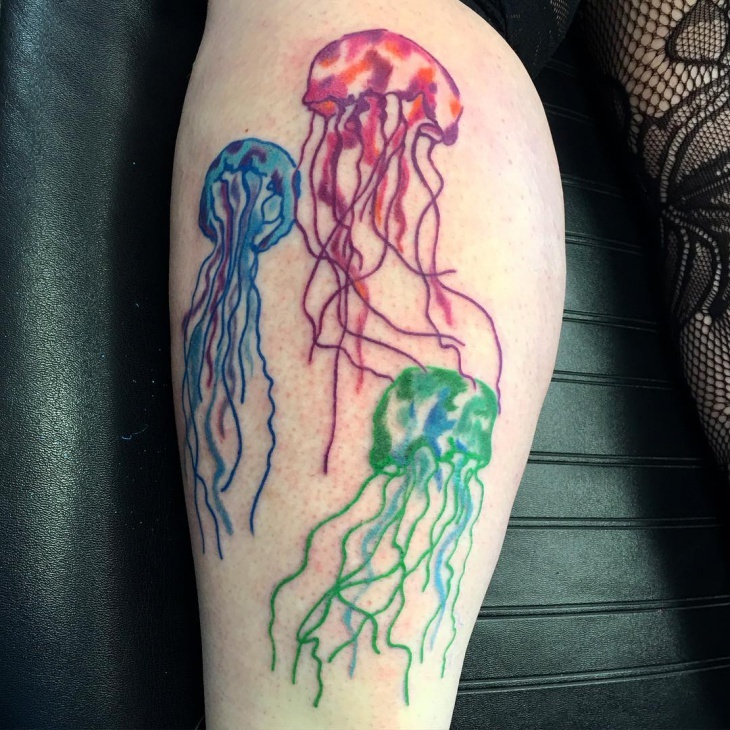 These hues a generally in a watery design yet still have the classic tattoo look. You can opt to give the insect’s wing a vibrant color while keeping the skeleton in a subtle shade. 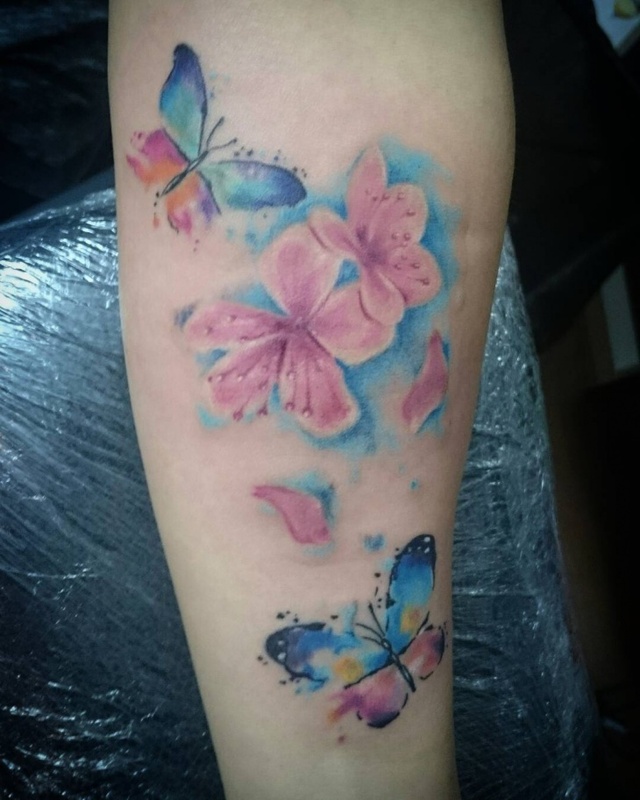 One of the most sought after tattoo for women is that of a butterfly, and you can now get it in a stunning watercolor design. 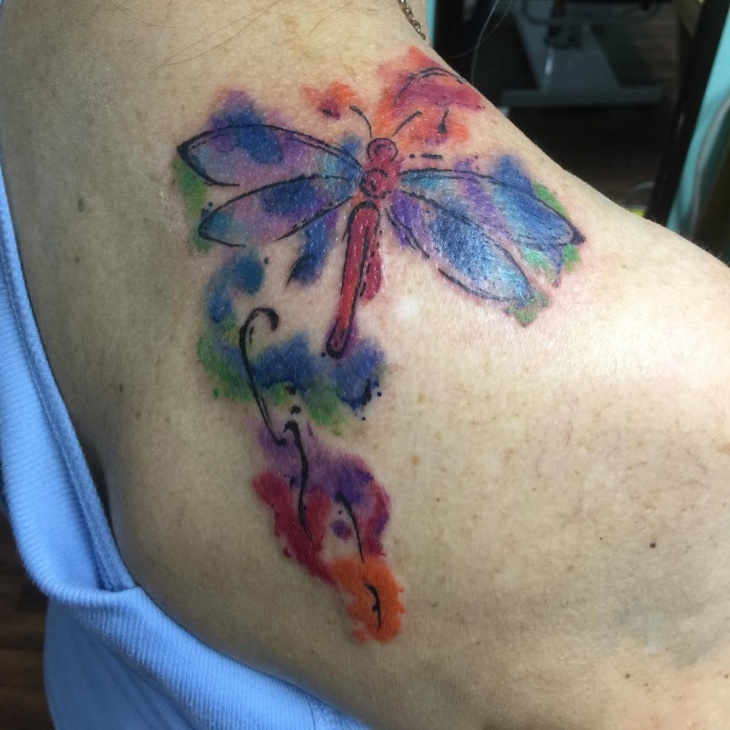 What grabs the attention of watercolor butterfly tattoos is their vibrant wings and deep symbolic meanings such as transformation, beauty, and freedom. 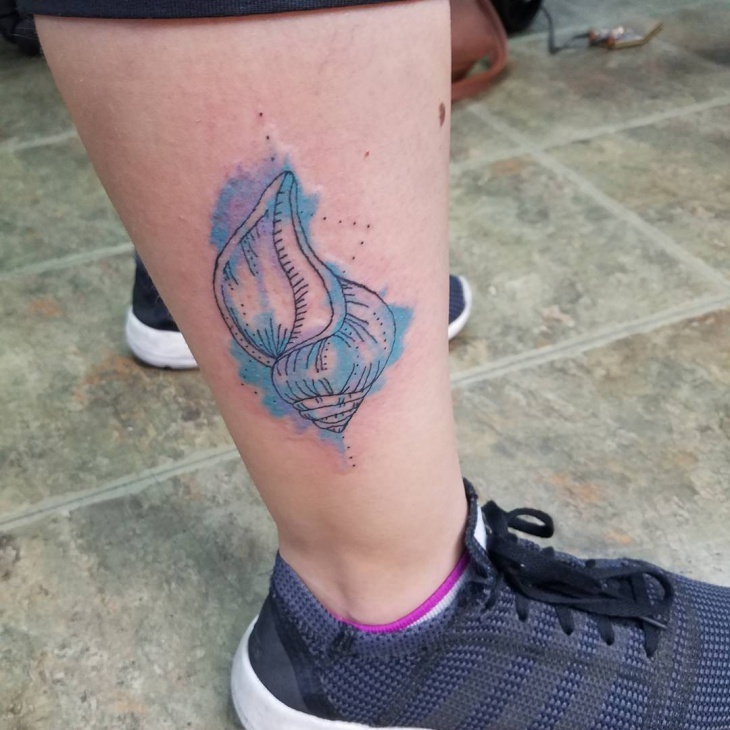 This tattoo will look attractive on the feet. 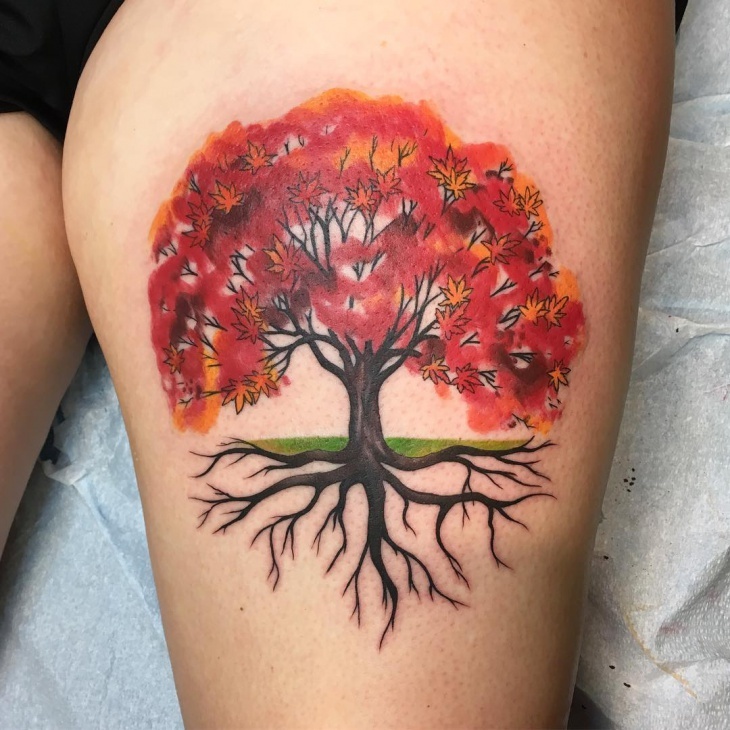 Vivid and mind blowing, the watercolor effect will make your tree tattoo look as if it fits perfectly with the holiday seasons. 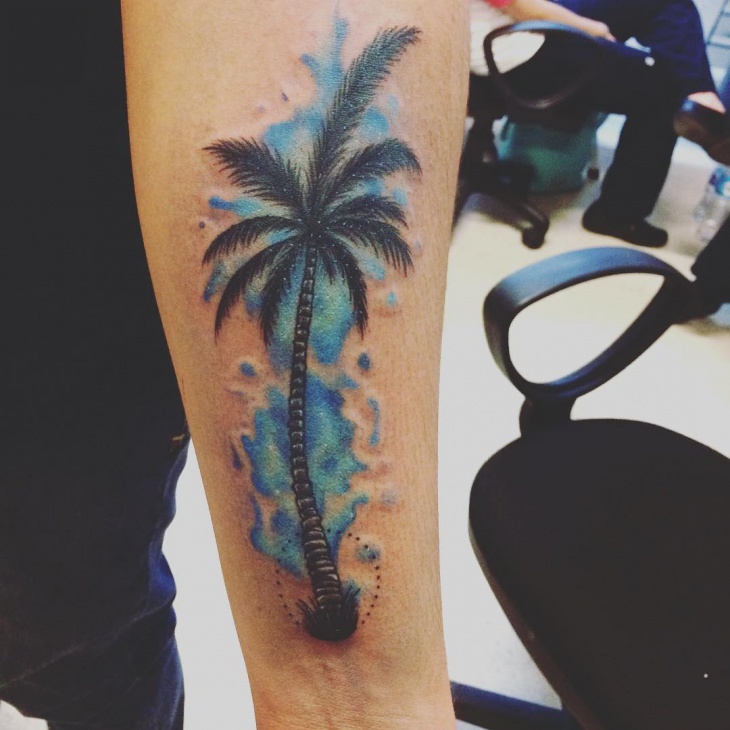 Suitable for men you can opt to get one large watercolor tree tattoo on the back or several small trees on the arm. 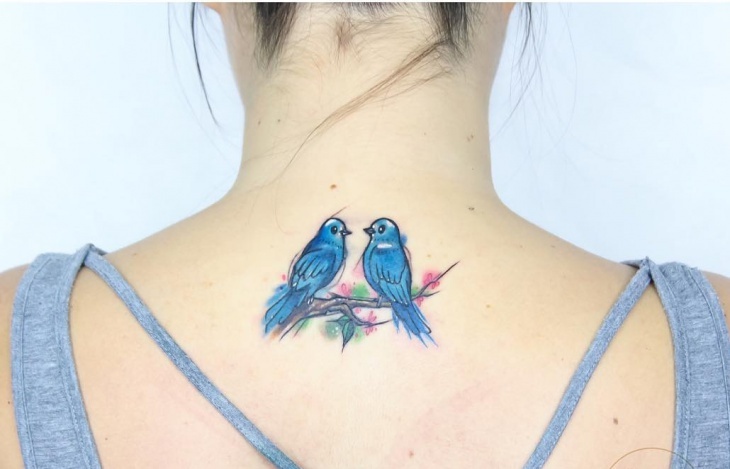 Perfect for both guys and girls, what’s to love about watercolor bird tattoos is that you have the freedom to emphasize any section of the bird. Black shades fit the beak while vibrant colors are ideal for feathers. The brushstrokes will bring out a liveliness that is hard to ignore. 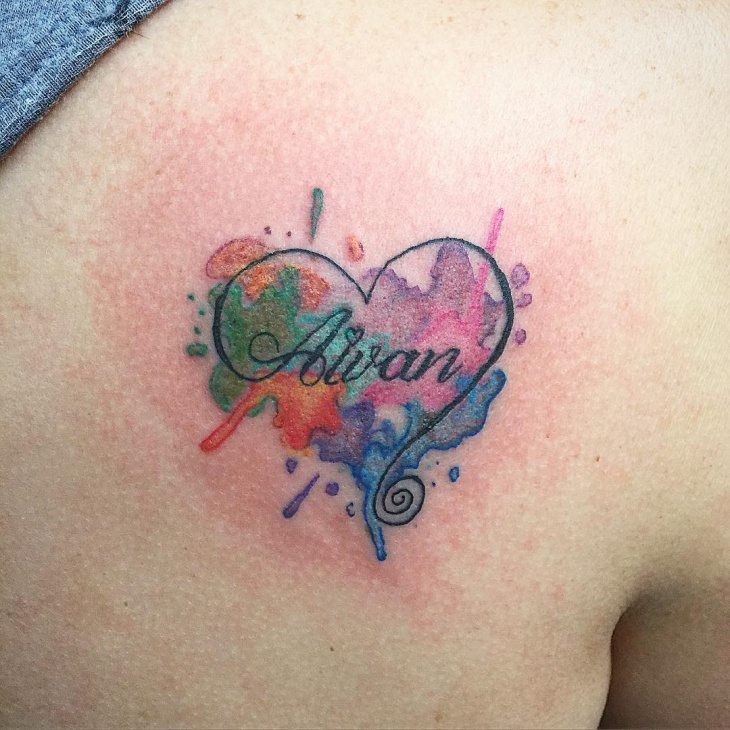 Watercolor heart tattoos are a favorite for displaying your feelings. 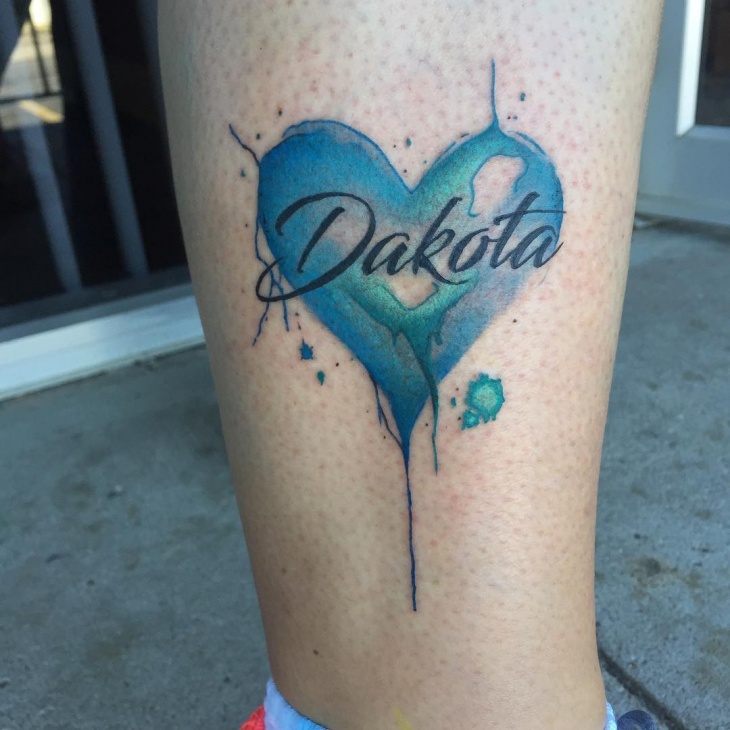 The different strokes and splashes will ensure your watercolor tattoo reigns supreme. The ideal location for ladies is on the wrist. 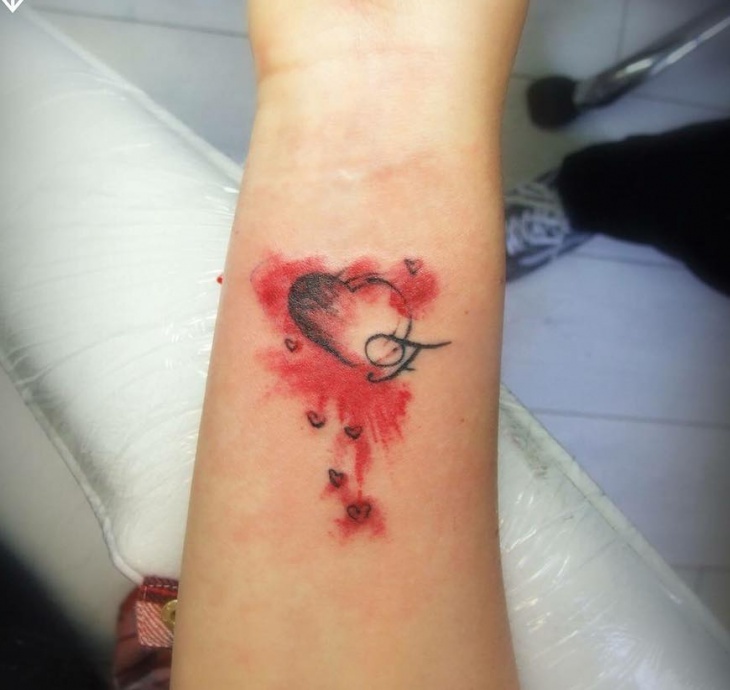 You can go further and design your heart tattoo in two different shades where one color will represent him and the other you. If you need a body art that is both attractive yet stands the test of time, then put your watercolor tattoo on the sleeves. 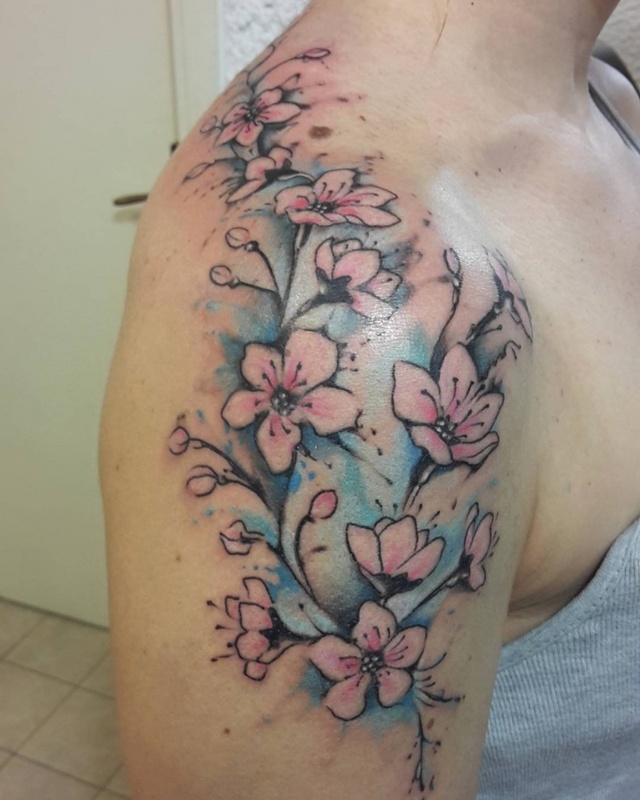 The crayon effect of the watercolors will make your tattoo stand out so be bold and opt for Japanese inspire design as a full sleeve tattoo or tribal design for half sleeves. 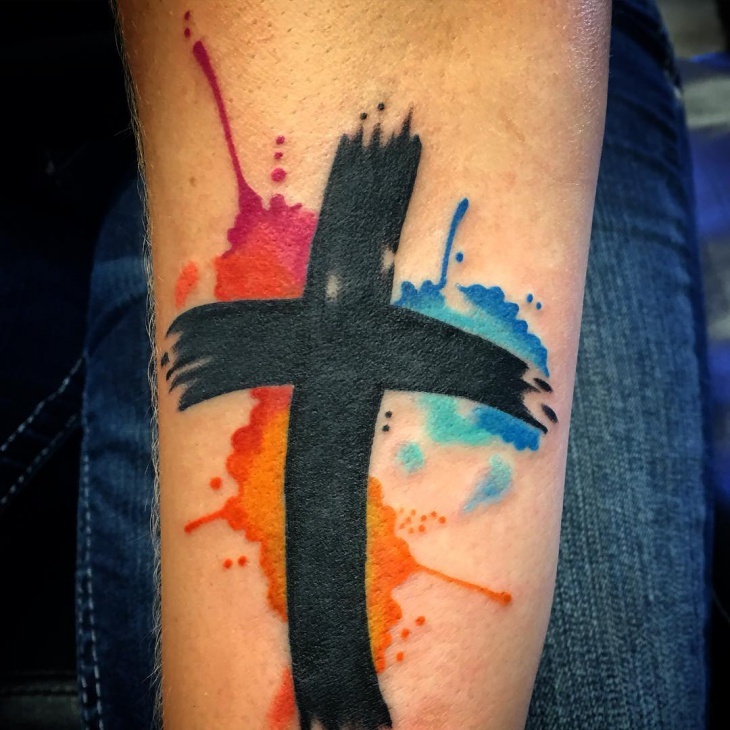 Give your cross tattoo a unique symbolic meaning by getting it in a watercolor style. The cross is a symbol of faith, hope, and belief in a higher power making it ideal for people with a Christian background. Choose a broad range of watercolor cross designs such as Celtic, tribal, Catholic and wooden. 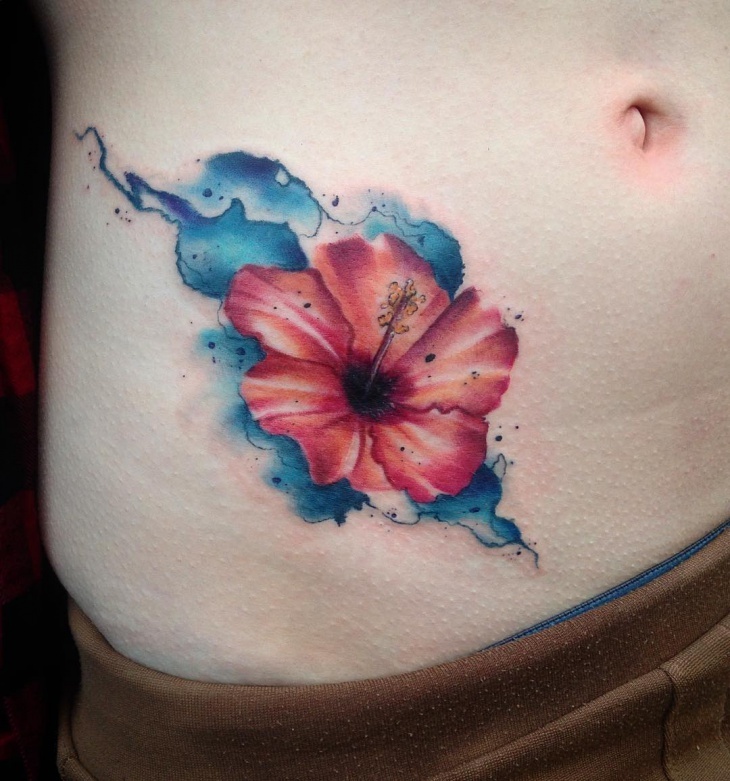 Hibiscus watercolor tattoos depict beauty, fertility, wisdom and sexiness that best reflects women’s characters. 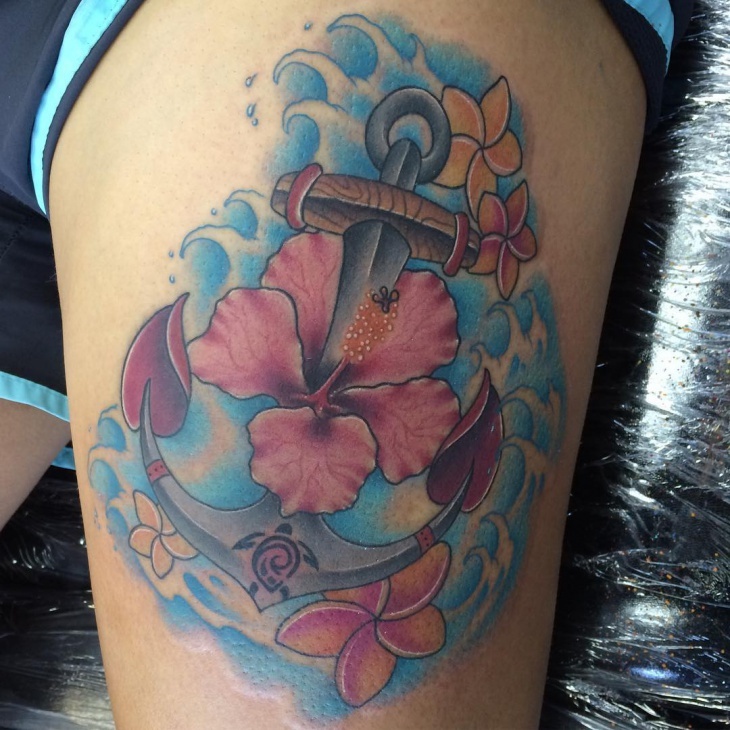 While its symbolic meaning varies from one culture to another, hibiscus tattoo relates to femininity. This flower is so versatile that you can pick from single blooming hibiscus, climbing vine to including it in a floral bouquet. 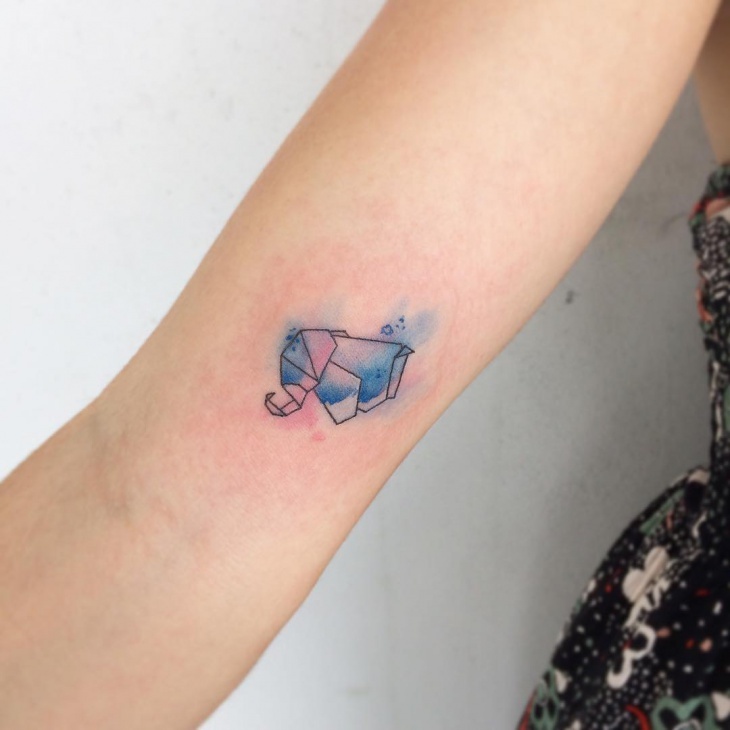 Geometric Watercolor tattoos are timeless hence you will not regret getting these tattoo designs. They feature different shapes such as a circle, squares and tend to incorporate either vertical or horizontal line. They make a style statement and aim to depict a balance which reflects the personality of the wearer. 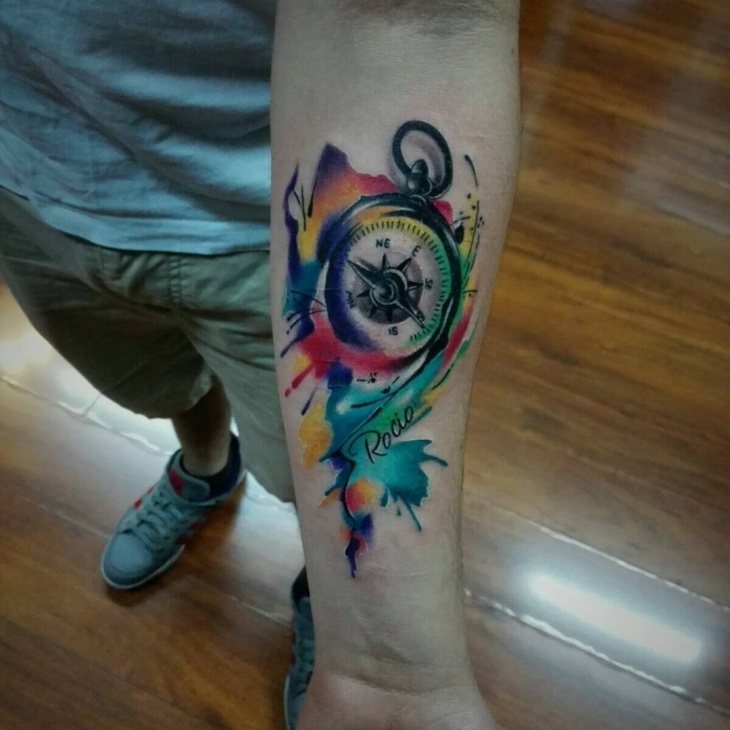 What better way to describe modernity than with 3D watercolor tattoo designs! 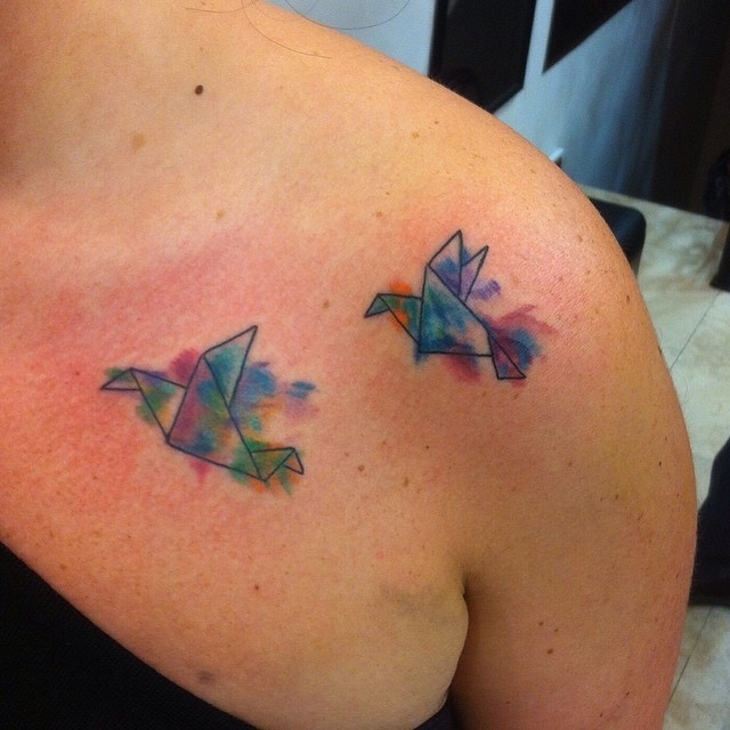 You can choose any size of a tattoo and give it both a 3D and watercolor style to ensure it impresses those who see it. Place large designs on the backs, chest, and arm while ink smaller tattoos on the wrist, ankle, and collarbones. 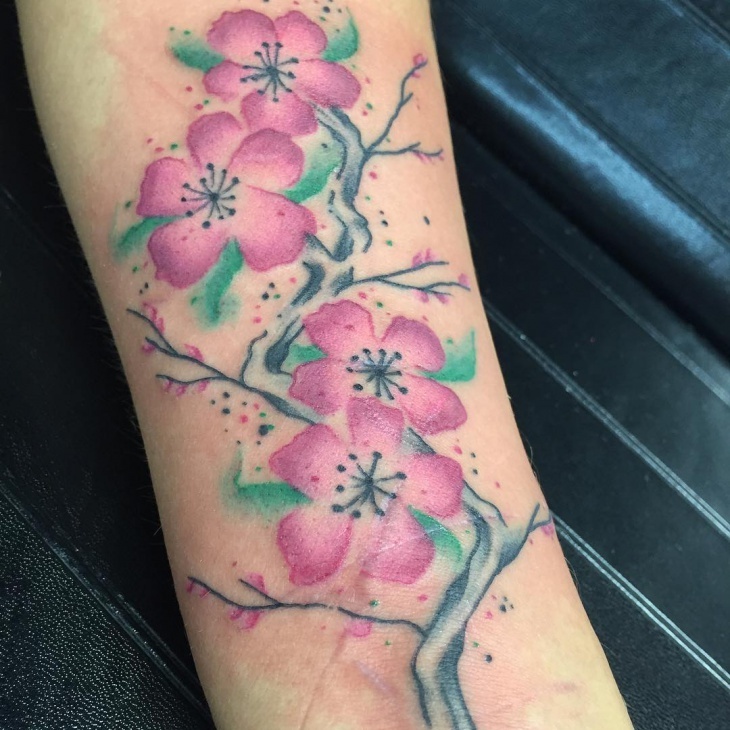 If pink is your favorite color, then cherry blossom watercolor tattoos are ideal for you. With symbolic meanings such as fragility, purity, and beauty, these designs will look attractive on ladies. They can be single Japanese cherry blossom, in clusters or integrate other tattoos like birds, butterflies, thorns and vines. 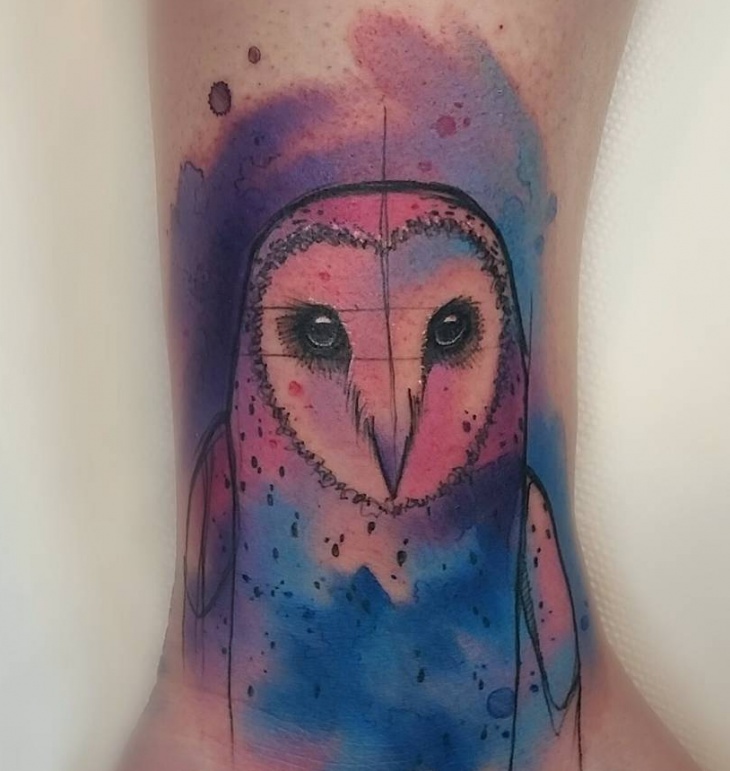 The nocturnal nature of an owl gives it a mysterious appeal which makes watercolor owl tattoos intriguing. Their popularity in many legends and cultures such as Egyptian, Hindu and Celtic makes them be associated with death or wisdom. The dripping quality of watercolors will give this bird a surreal effect. 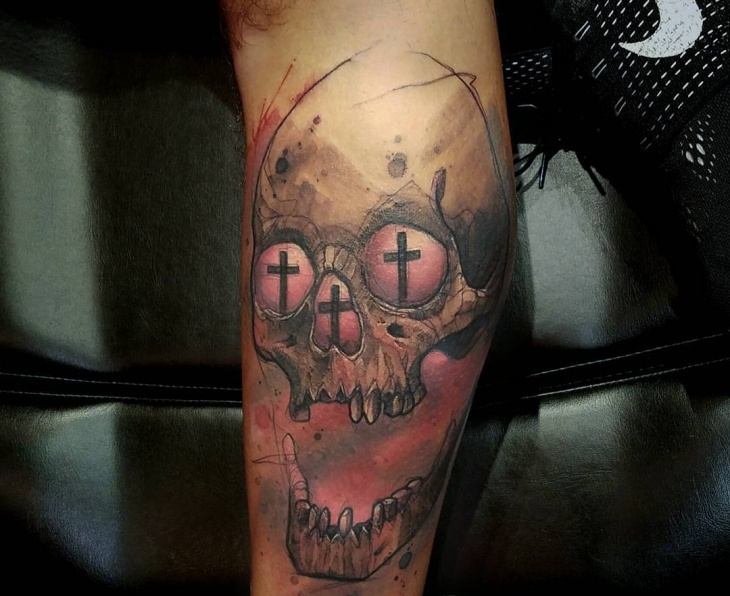 Adding watercolors to a skull tattoo makes the design even more appealing. 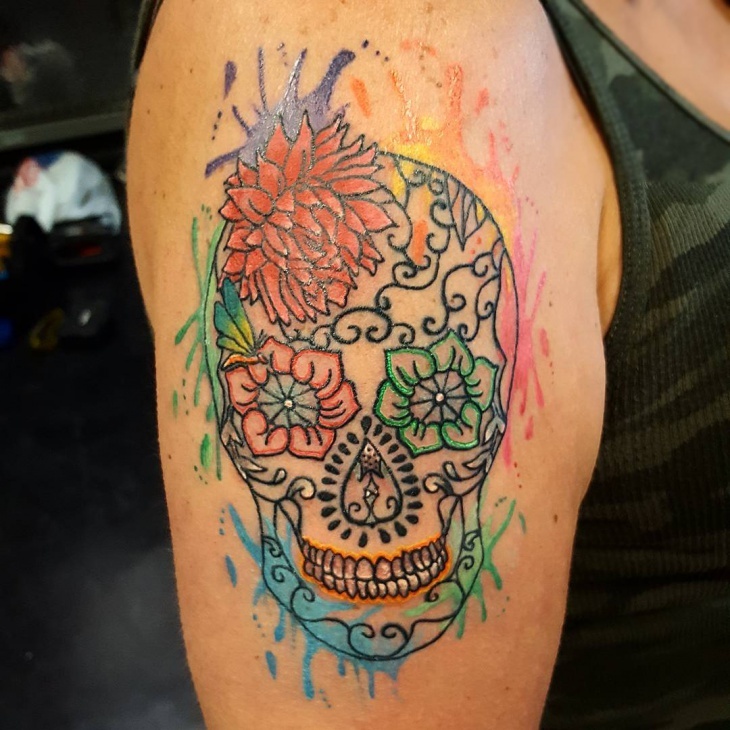 The blotch styles of the brushstrokes will make the watercolor skull tattoo designs eye-catching and pleasing to the onlooker. The watercolor art will help give the skull a less scary effect. 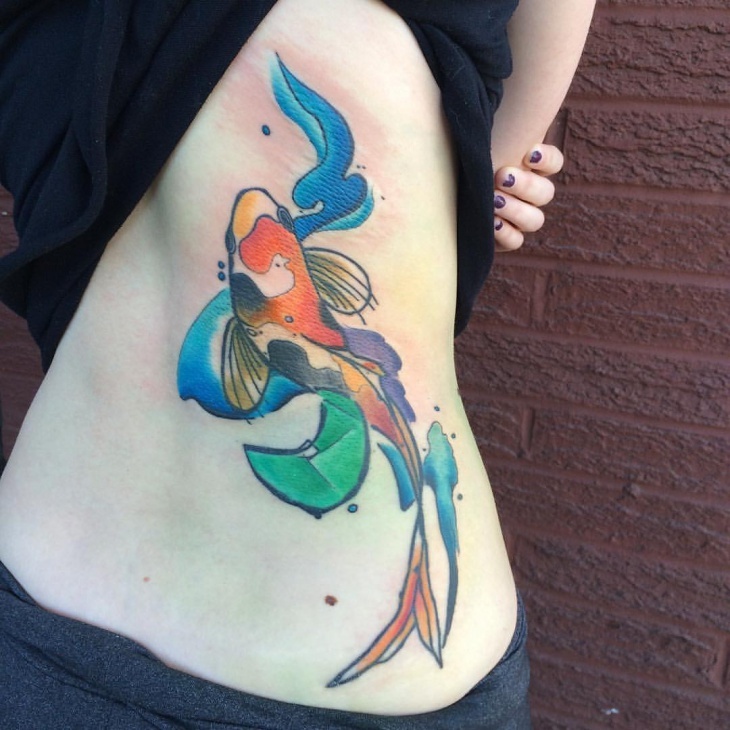 Watercolor fish tattoos tend to incorporate a background of water to create the illusion of the fish in its natural inhabitant. The best way to make the fish tattoo stand out is to ink it in the standard way and then add splashes of watercolor effect in the background. 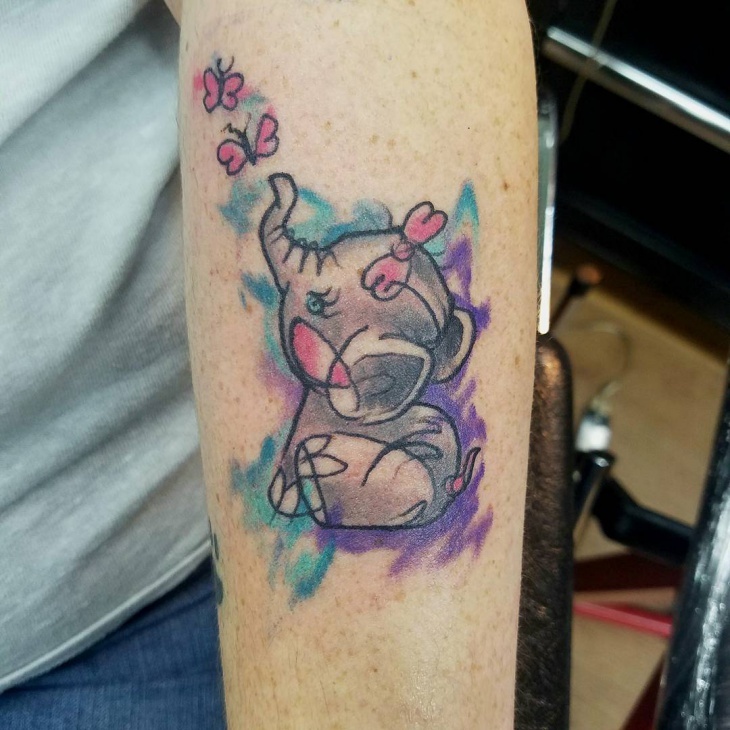 If you are looking for an animal tattoo that people will not forget then choose the different yet beautiful watercolor elephant tattoos. These animals have meanings such as compassion and strength that make them relatable to human traits. Therefore, the watercolor effect gives it a realistic element. 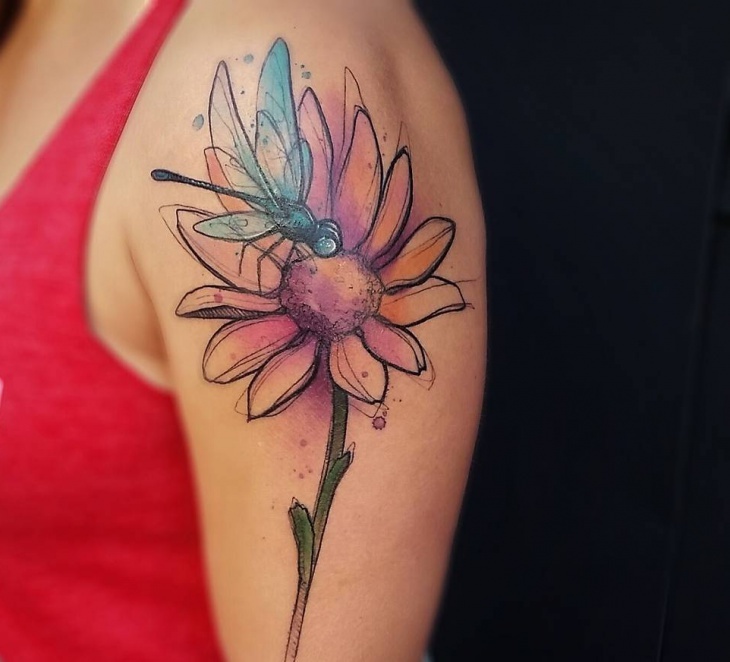 Watercolor tattoos which are also known as painterly tattoos are a favorite to many because they exhibit a coloring which is the same as that used in watercolor paintings. They have a symbolic meaning that expresses emotions, lack outlines and can be easily identified by their vibrant shades as well as soft colors. 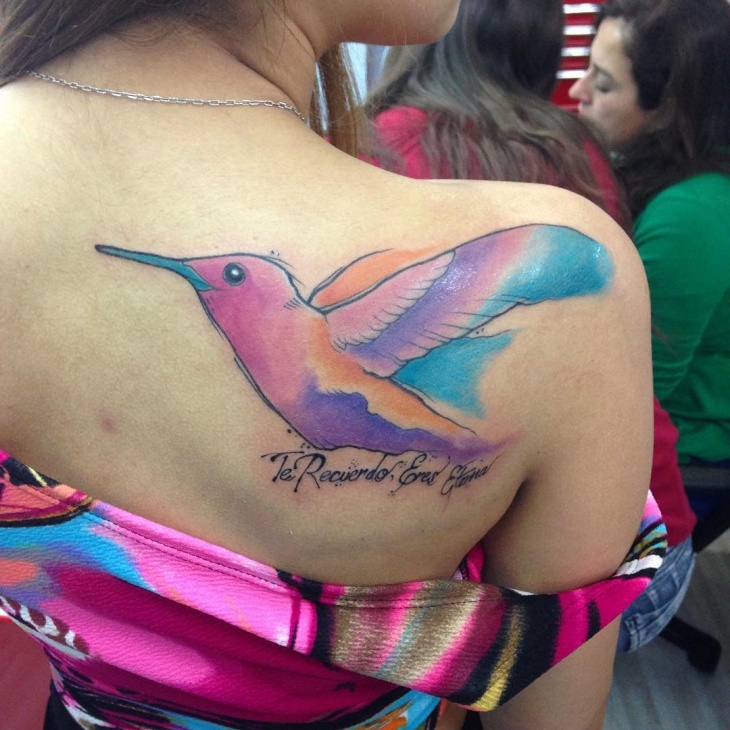 So if you are looking for a new trend in the tattoo world, then watercolor tattoos is the ideal choice for you. 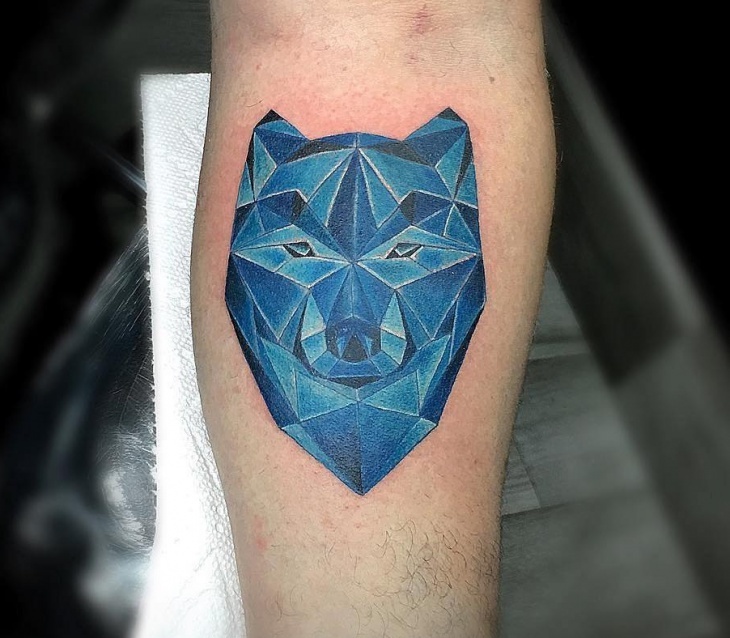 People love to get inked with impressive body art that is why tattoo artists will continue to use their creativity and skill to come up with unique watercolor tattoo designs. 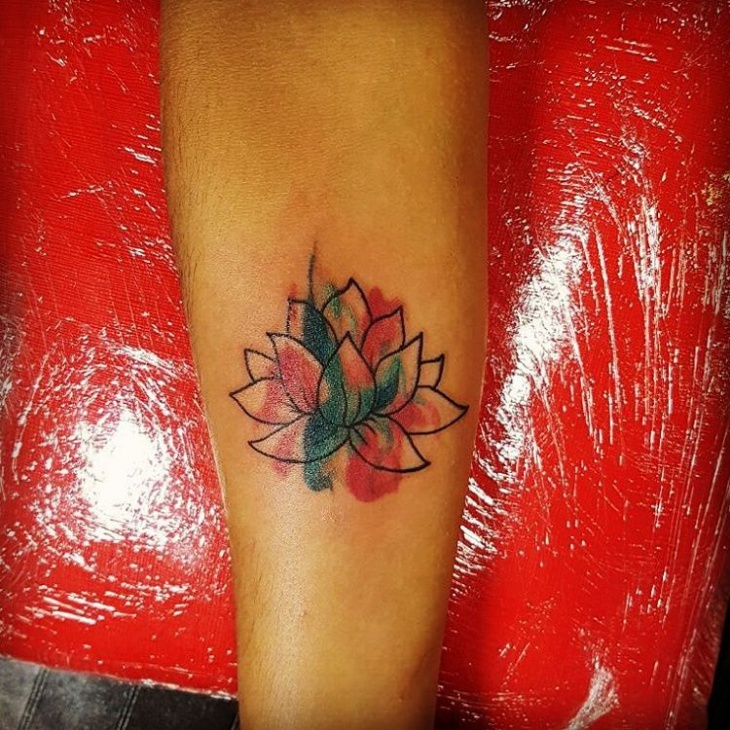 Flower tattoo designs that flow with the individual’s natural physique and blend effortlessly are popular with women and men of all ages.